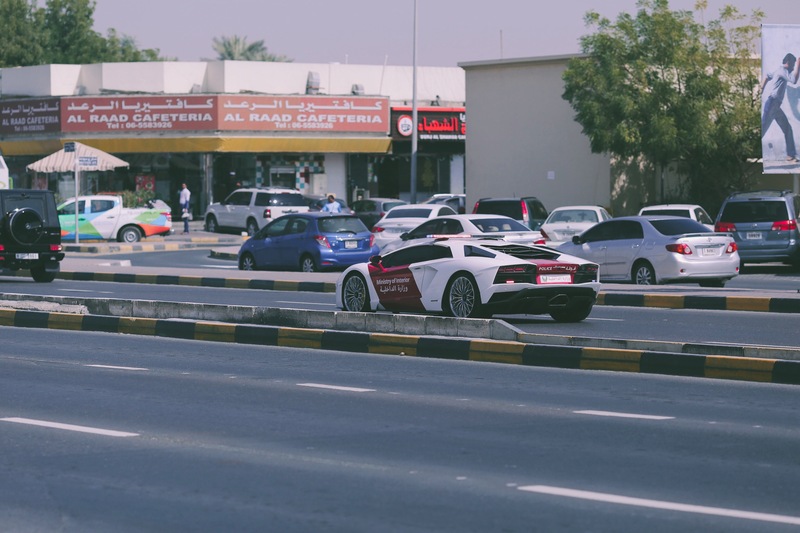 In celebration of Innovation Month, Lamborghini has partnered up with the Ministry of Interior in the United Arab Emirates, adding yet another supercar to a fleet of government vehicles. 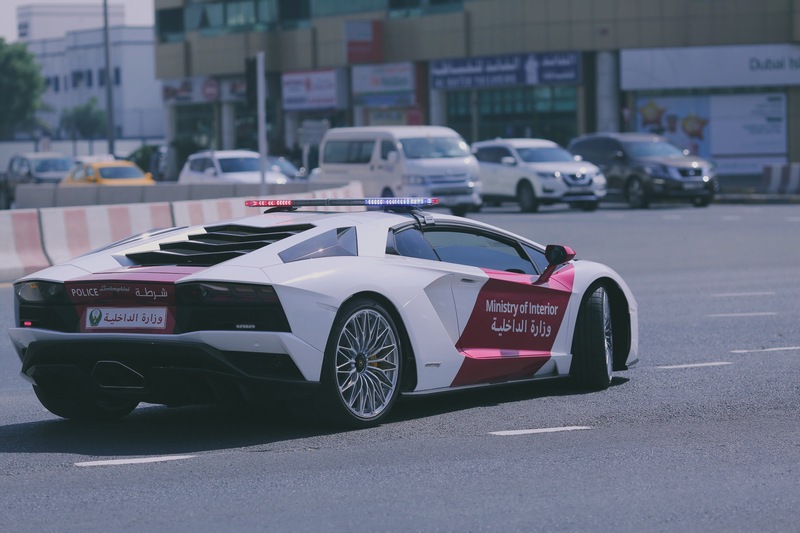 Like the Dubai police force, which is famous for its numerous big-ticket luxury vehicles like the Bugatti Veyron, Rolls-Royce Phantom VII, Ferrari FF, BMW i8 and a few others, which are used to patrol the streets, making their presence felt on the roads and on countless Instagram posts, the MOI of UAE too has one to flaunt, in the form of the Aventador S. This new coupe, adorned with the traditional colors of the force, will be touring through each of the seven Emirates. 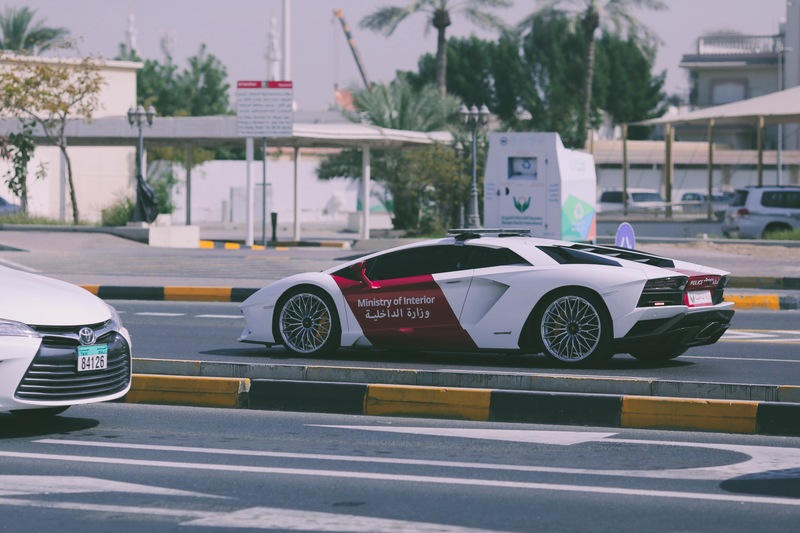 This iteration of the flagship is powered by a 6.5-liter V-12 that churns out 740 HP (544 kW) at 8.400 rpm and 507 pound-feet of torque at 5.500 rpm. It employs an ISR (Independent Shifting Rods) gearbox with 7 speeds which distributes power to all four wheels. 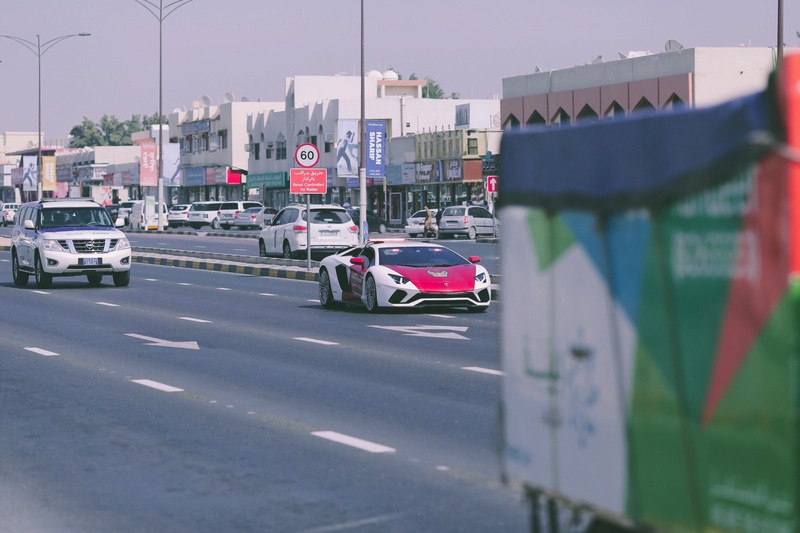 Lean in heavy on the gas pedal and it will rocket from zero to 62 mph in just 2.9 seconds and its speedo’ will hit a dizzying 350 217 mph if you can find a long and empty stretch of tarmac. The cost? Close to half a million dollars. This partnership has been described as a "match made in heaven” and what this “represents is a similarity in DNA, and a force with lightning-fast reactivity, unequaled reliability and astonishing agility.” Make what you will of the press release, but all we know is that this is one fast car, befitting the fast-paced life of the country.